When it comes to any sort of home cleaning, a lot of individuals would naturally want to do it efficiently and quickly. Quickly, because one does not want to end up spending all their free time on housework. Efficiently, because a spotlessly clean house is something to be proud of. 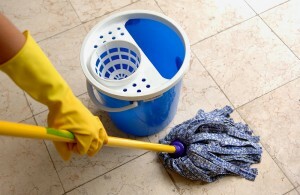 Here are a number of tips from specialist House Cleaning London firms. There are some reasons why removing clutter before cleaning is essential. Clutter serves as a container for different forms of mess, like bread crumbs, pieces of paper or soap. If the cleaning is completed before reorganising the room, bread crumbs could find their way back to the floor. This could make the cleaning procedure much more difficult and time consuming. Dusting and vacuuming should happen before mopping, or more extensive cleaning begins. While many people could try to avoid dusting or vacuuming because it appears to take more time and it makes mopping quicker and easier. Fur or hair on the floor and on surfaces makes mopping much more time intensive than it needs to be. Expert home cleaning also requires preventive measures that may minimize the cleaning process in the future. For instance, using old newspapers to clean windows helps to reduce streaks from accumulating on the glass. Using old newspapers also gives the glass a better shine. Fingerprint stains usually accumulate on metallic surfaces, and they can be quite noticeable. The appearance of these stains can be minimized later on, by the use of mineral oil. A different way to avoid stubborn stains around the house is to use vegetable or glycerin based soaps. These soaps could be really useful in the bathroom, where soap scum can be time consuming to eliminate. A squeegee is a different tool that could reduce the time taken to clean surfaces and windows. Large windows may be time consuming and dangerous to clean if you do not have the right equipment. Use a squeegee to clean windows and bathtubs faster. Expert domestic cleaning requires teamwork. They say two people are able to make a bed four times quicker. Therefore, it is important to think about encouraging members of the family to take part in the cleaning. When members of the family invest their time in house cleaning, they will naturally be more involved in keeping it tidy and neat. If you don’t have time, you could book expert cleaners on 020 3322 8291.